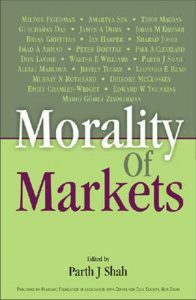 The Moral Case for the Free Market Economy; A Philosophical Argument (1988) | Moral Markets? 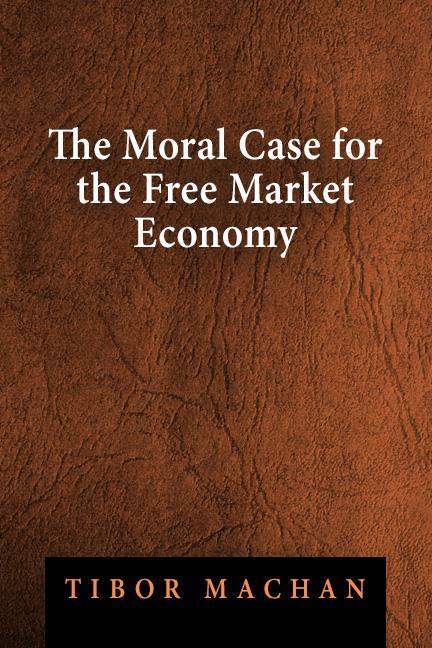 "The Moral Case for the Free Market Economy presents a philosophical argument that places a brief statement for the case for the free market system of economics. The text is based on a view of human beings as moral agents and the legal system of a good community as designed to nurture this moral agency." "The skeleton of the case is as follows. The free market economy is equated with the institution of private property. Private property is justified as an extension of the natural right to life, along Lockean lines. Natural rights are treated as a consequence of the doctrine of 'classical individualism.' This is a metaphysical view distinct from the collectivism attributed to Marx as well as the atomistic individualism attributed to Hobbes. That is, it denies both that there is a universal human nature imperfectly realized by each individual person and that there is no human nature and human beings do not constitute a natural kind. 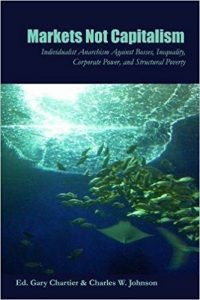 It asserts that although human beings have common attributes, 'one such attribute is that we need to attend to our lives on our own initiative, by our own wits, not by some collective drive' (p.20); it also asserts that 'both the individuality of something and its membership in a class are of equal significance' (p.77). 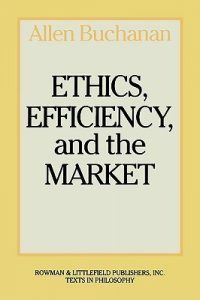 [...] the book is perhaps above all a plea for the importance of moral considerations in the justification of the free market economy. Thus the book devotes a great deal of space to criticizing such things a amoral defenses of capitalism (p.1ff), moral objections to capitalism (p.97ff and 103ff), and amoral objections to collectivism (pp.106ff). [...] In summary, this book is a useful elementary introduction to the aforementioned topics rather than an original scholarly contribution to the subject." Tibor Machan was a libertarian professor of philosophy.